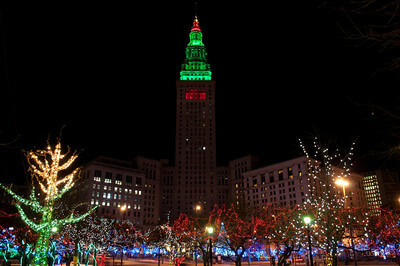 Cleveland's Public Square set aglow for the holidays. 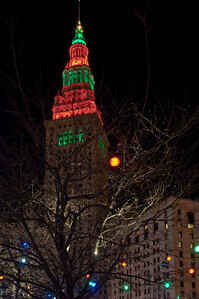 The Terminal Tower on Cleveland's Public Square lit for Christmas. 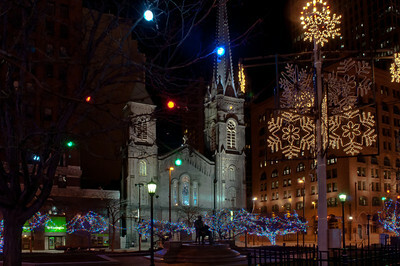 The Old Stone Church on Public Square is truly a Cleveland landmark. 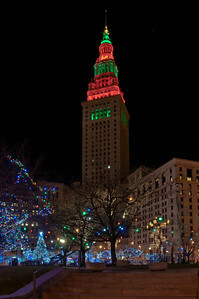 With the Square bathed in Christmas lights its placement on the Square seems even more appropriate than usual. 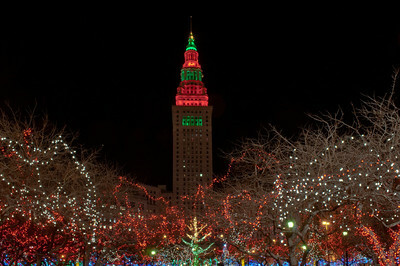 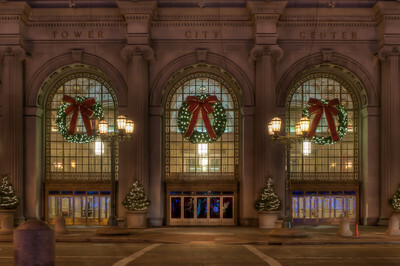 The entrance to the Terminal Tower on Cleveland's Public Square is decked out in its holiday finest. 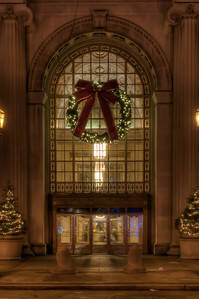 There is a certain understated elegance to this that has always appealed to me. 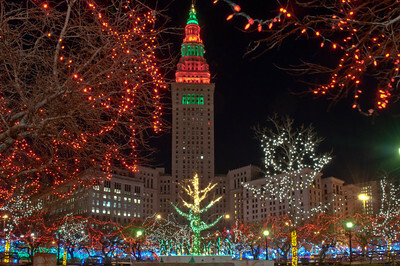 Cleveland's Public Square set aglow for the holidays. The Terminal Tower is still the city's most recognizable landmark. 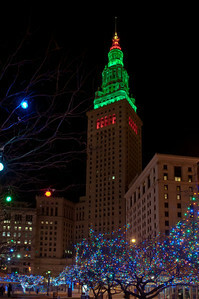 At Christmas time it is specially lit in red and green. 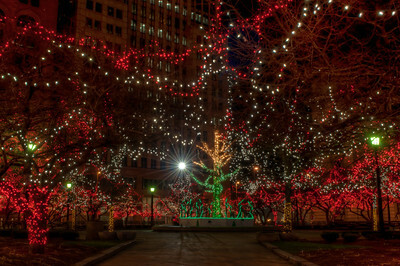 The Fountain of Eternal Life is also known as the War Memorial Fountain is located in Memorial Plaza part of the The Cleveland Mall in the downtown area of Cleveland. 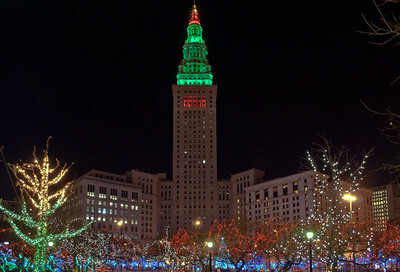 It was designed by Marshall Fredericks and dedicated on May 30, 1964. 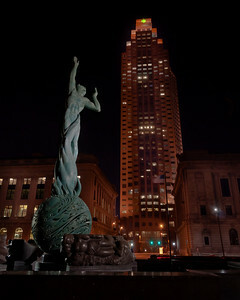 The sculpture serves as the city's major memorial to its citizens that served in World War II. 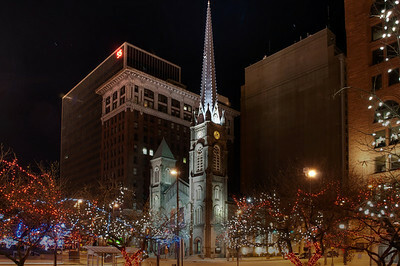 The Huntington Bank building is in the background.